As a warm-up hole the first looks fairly easy, straight and a reasonably short par 5. Being OOB down the full left side, trees and shrubs all the way on the right and sloping gently left to right for most of its length this hole will keep both lefty's and righty's on their toes. Add in the large tree to the right of the fairway and a large bunker guarding the right half of the green, you know you have to start well. 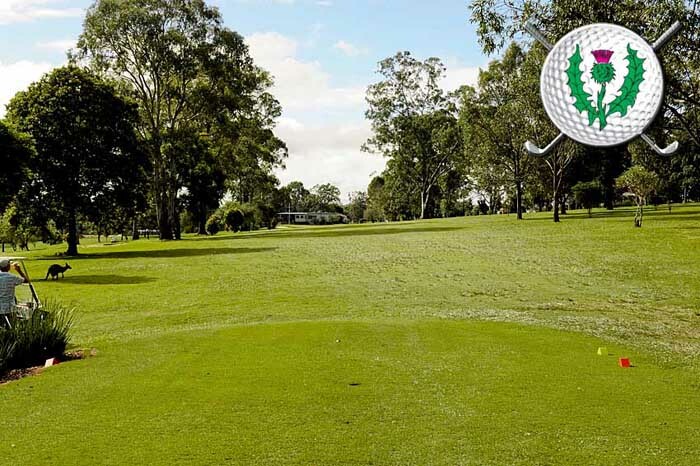 The second at Maclean Golf club is a short par 3 and is one of the newer holes on the course and again everything to the left is Out of Bounds. The tee is tucked into the trees over looking the two gullies you have to carry to the green set on the facing slope. The green is protected to the left and right front by two deep bunkers and steep slopes to both sides. 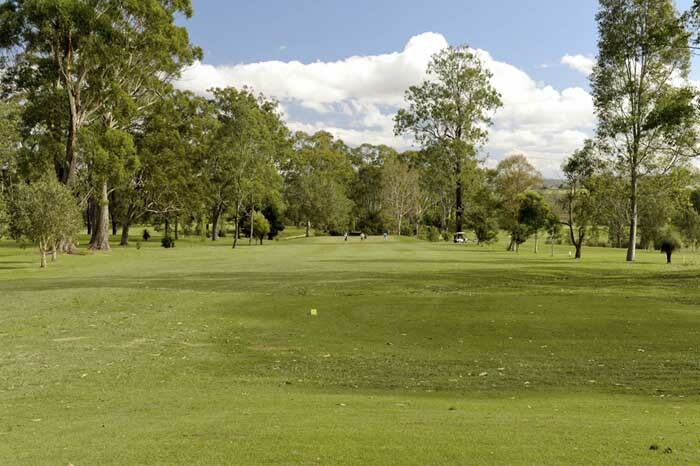 The third at Maclean Golf Club is a tree lined flat fairway that dog legs gently to the left. 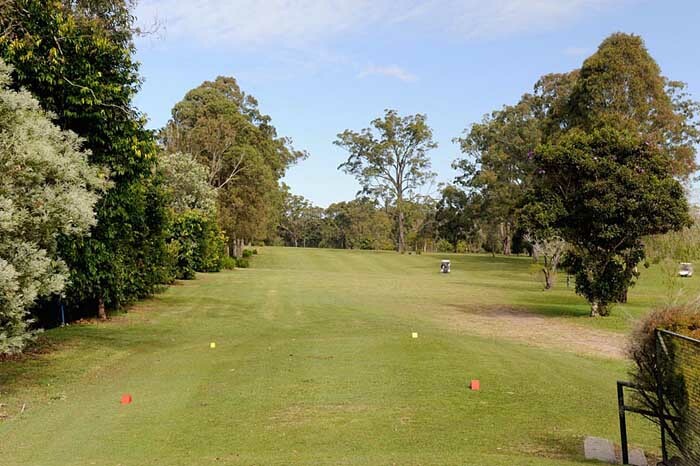 The large gum tree on the left at the inside of the dog leg should be avoided and from there it is a relatively straight run to the large green. The green is protected by two sand traps on the left front quadrant and steeply sloping undulations to the right and rear. The green itself slopes gently from the back to the front and is longer than it is wide. 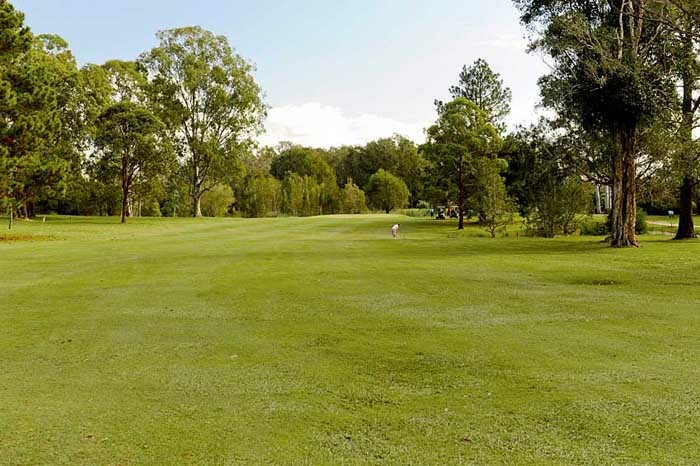 The fourth at Maclean has a gently sloping right to left fairway which has a slight dog-leg to the left and is lined to the right with trees and the left with small trees and shrubs. 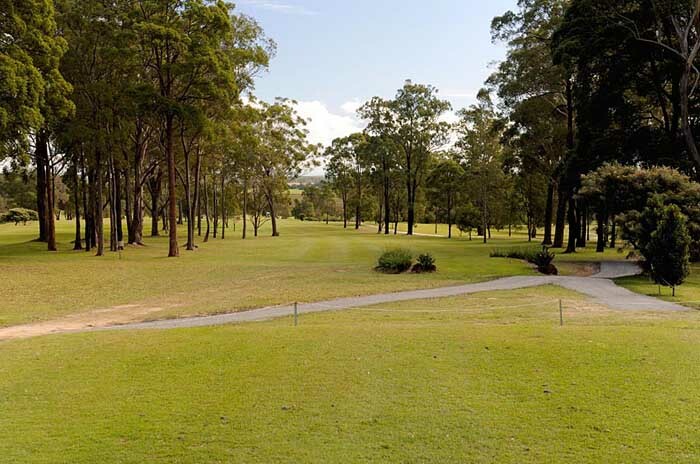 At about 100m out the fairway dips down onto a flat approach to the raised green. The green is bunkered left and right with steep slopes to both sides and slopes from back to front with a quite pronounced ridge running across the centre. The fifth at Maclean is a dog leg right from an elevated tee down onto a flat guarded on the left by a fairway bunker. To the right is a steep slope with large trees and to the left are small shrubs, all of which can cause trouble. 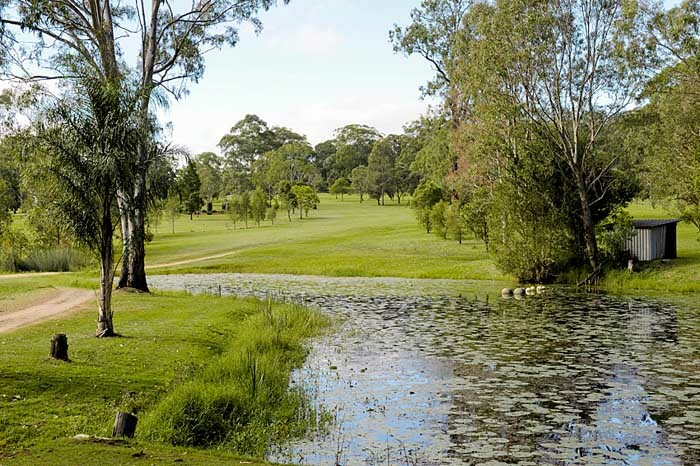 After the dog leg, on the left are large trees and the right has a waterhazard that can come into play as well as large trees. The rather flat green is protected on the left side by two shallow bunkers and to the back a slope into rough ground with flat ground to the right. View from 150m out from 5th green. 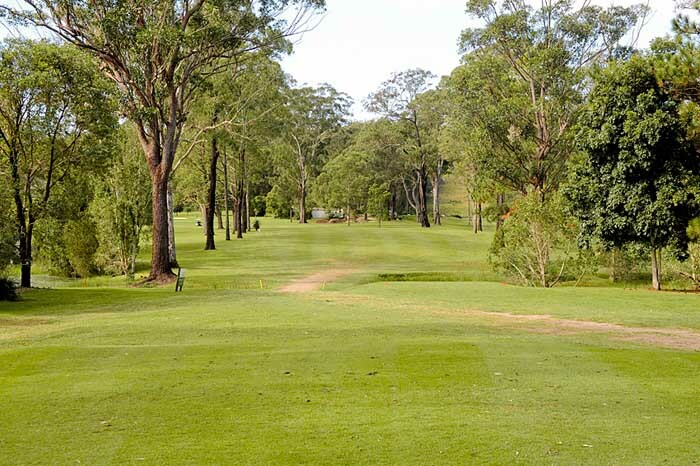 With a dam on either side close to the tee the sixth then leads through a fairly narrow opening up hill to a broader flat section all lined with large native trees. The flat section contains a dog leg left leading up to the green. The green is bunkered to the left and right front and slopes slightly from back to front. 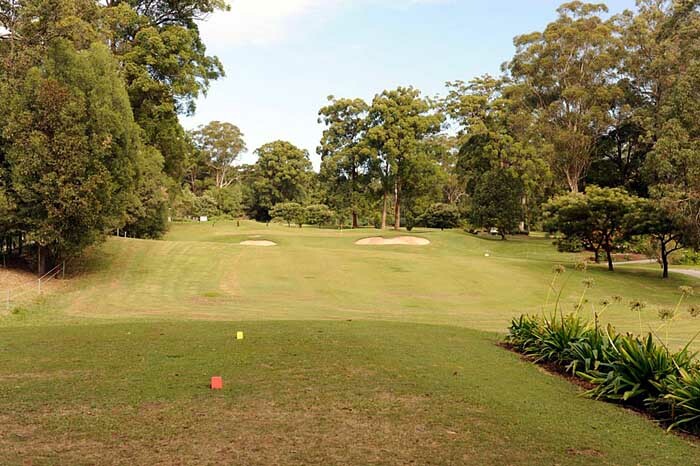 The longest Par 3 on the course the seventh has trees and shrubs on both sides of a down sloping fairway with a green that slopes gently from back to front. The back of the green is steeply graded down to heavy rough and both sides taper up to the front of the green. The eighth at Maclean while not being the longest Par 4 on the course is made to seem so because it is uphill all the way. The Tee is tucked back in the trees on the banks of a dam with trees keeping the right side of the fairway honest but go too far left and you are in a hazard. After the drive you have to negotiate the dog leg left which is guarded by more trees. The green at the top of the hill is trapped to the left by two bunkers and slopes from back to front making down hill putts very interesting at times. The Thistle off the tee is looking straight at the club house down an avenue of large trees. The fairway slopes gently right to left and the first half is up hill over a rise. 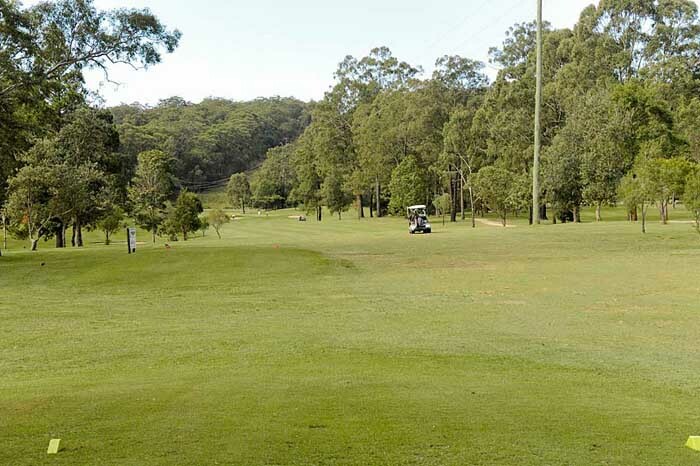 While you can see the green from the tee the last half of the fairway is hidden down in a shallow gully and then up to the green which has a large bunker covering most of the left side and a steep slope to the back. The green has a pronounced back to front bias. Do not over club on your second as the path in front of the clubhouse and beyond is OOB. Why the Thistle Hole? Pay your dollar to the starter and if you are nearest to the pin on your second shot you get the prize.